The Service Desk allows a user to submit a ticket, then edit that ticket with additional information such as a contact with an associated asset. The asset must have already been created. 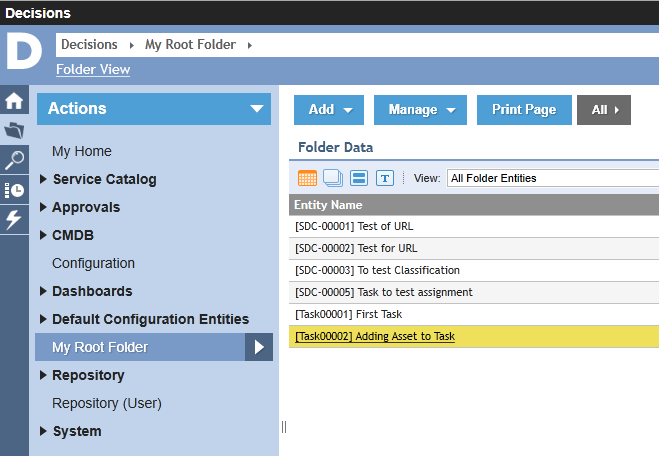 To provide user asset information for a ticket, select the ticket in the folder data panel to access the Task Details	panel, then click the Add Task Contact	button. Create a service desk ticket. Add a contact to the ticket. Associate an asset with the contact. A task definition, SDChange, has already been created, and is used when creating the task. 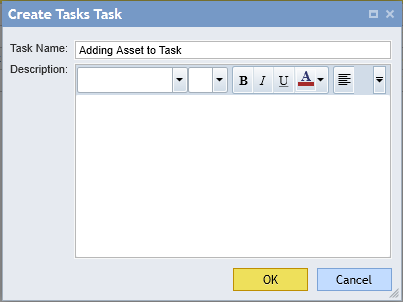 We enter a title and description for the task and click OK	.
To view the task details, we click the task name in the folder data panel. 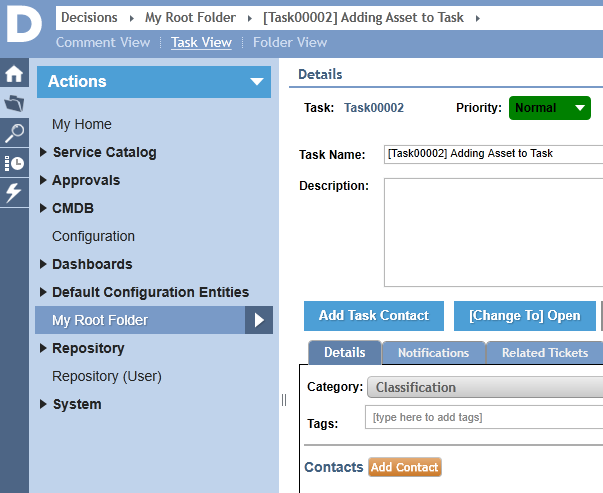 Details about this task, such as priority, related tickets, and assignments display. We click the Add Task Contact	button. 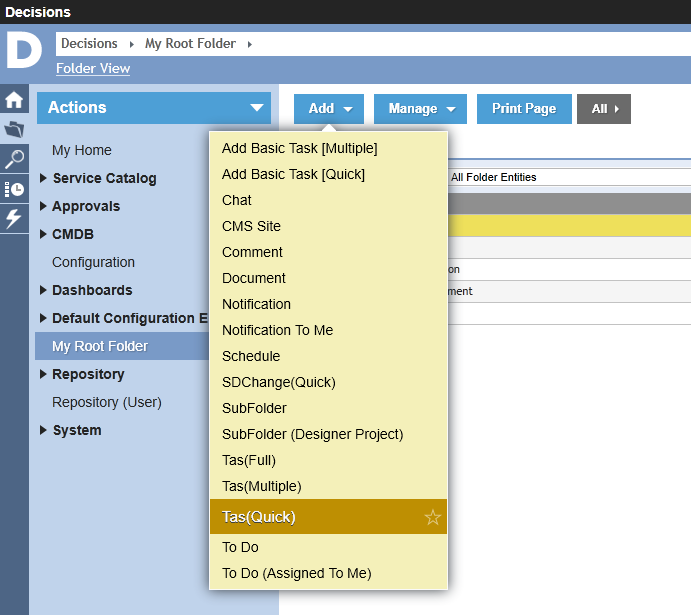 In the Add TaskContact pop-up, we click the Select User Account	selector. 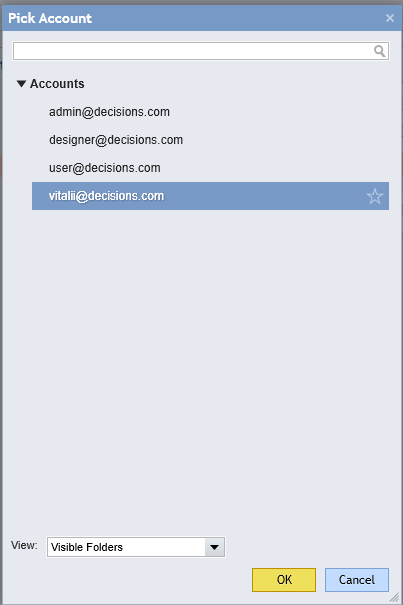 We could also add a contact that does not have an account in the system by entering an email address in the Email Address	field under the Task Contact Information	section. In the resulting pop-up, we select the account that is to be the contact for the ticket and click OK	.
Back in theAdd TaskContact pop-up, we associate this contact with an asset. In the section Link to Asset,	we select the checkbox next to the asset and click Save	. 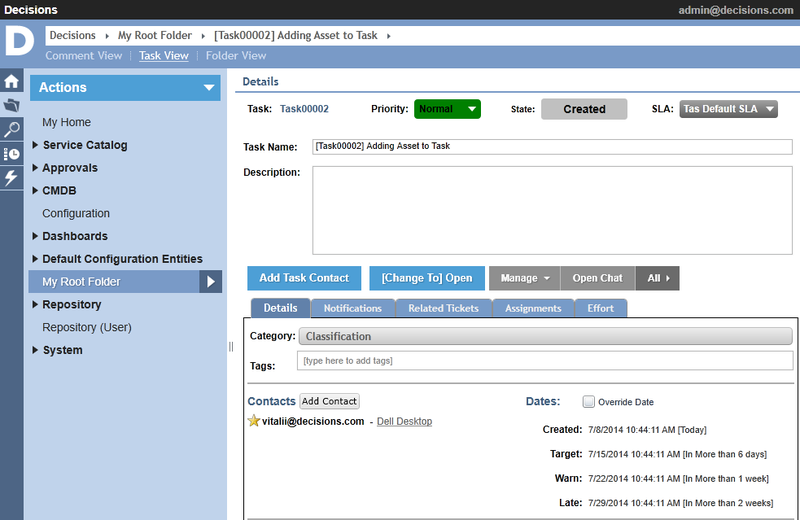 The Task Details	panel displays the contact and the associated asset.